Skateboards don't need outlandish graphics or big logos to be cool. 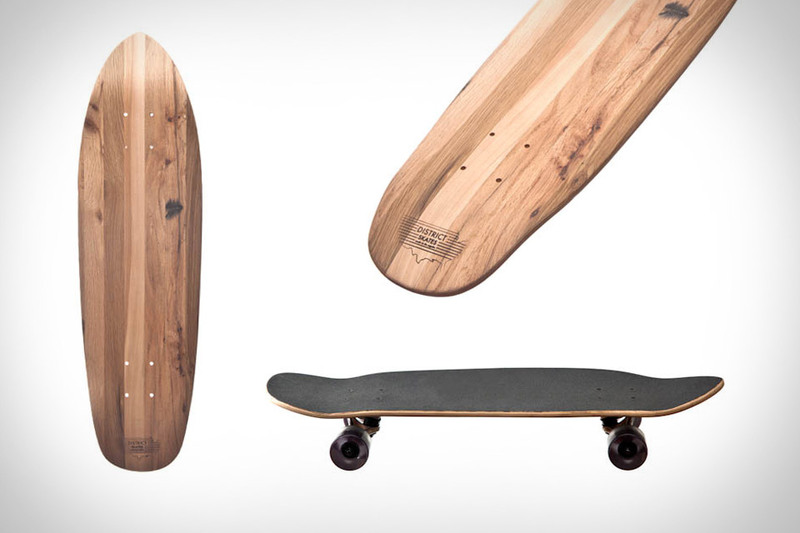 Take District Skateboards ($120-$215) for example. Handmade in downtown L.A., each of their boards features a custom shape that's been tested and honed by the craftsmen themselves, is made using the most eco-friendly processes available, and boasts a handmade reclaimed barn wood veneer and maple core. Just don't order one to act as a cool display piece for your living space — as the company founders say, they're made for riding.